Born on July 23, 1934 in Oklahoma, Betty Conti, 84, entered into rest on January 23, 2019 in Stockton, Ca. She is preceded in death by her husband Frank Conti, her infant daughter Angela Delia Conti, and one brother Lonnie Moore. Mrs. Conti is survived by her family; children, Francine Conti, Steven Shandy and Jackie Nielsen, sisters; Janell Croxdale and Iola Moore. 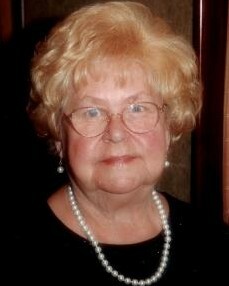 She was blessed by many grandchildren and great-grandchildren who she loved unconditionally. A resident of Stockton and previously of Tracy, Betty and her husband Frank owned and operated Conti Custom Rod Iron Shop. Betty loved traveling, taking cruises with husband and dancing. Betty will be remembered for her peaceful spirit and her fun loving heart. She will be missed by all who knew and loved her. P.L. Fry & Son is honored to be serving the Conti family. A mass will be held at St. Anthony’s Catholic Church on January 31, 2019 at 11:00 a.m. 505 E. North St. Manteca, Ca. She will be laid to rest and St. John’s Catholic Cemetery.